A lengthy visit to Waikiki can easily put a burden on the wallet, but there are some quick and easy ways to save money in this tropical paradise. In Waikiki, it’s not always about watching what you eat, but where you eat. If you spend less on lunch, you will have more to spend on dinner. Teddy’s Bigger Burgers is a magnificent place to save money in Waikiki. You can get a fast, delicious meal for under ten bucks, just a short walk away from Waikiki Beach. Here is a restaurant review of Teddy’s Bigger Burgers in Waikiki, Hawaii. 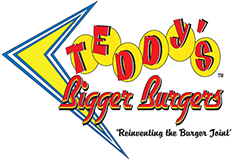 Teddy’s Bigger Burgers is located at 134 Kapahulu Avenue in Waikiki. They also have locations in Kailua and Hawaii Kai. But the Waikiki location is right near the beach, as convenient as it gets in Honolulu. There, you can choose between a big burger, a bigger burger, and the biggest burger. All of them are large and delicious, due in part to Teddy’s special sauce. Teddy’s Bigger Burgers also offers crispy french fries, which you will not want to miss. To drink, I highly recommend their thick, rich and sweet shakes. Okay, so Teddy’s Bigger Burgers isn’t the ideal place to eat if you are on a diet, or if you have high cholesterol. But keep in mind you can swim it off in the azure blue Pacific right after lunch. Teddy’s Bigger Burgers is a retro restaurant in the tradition of a fifties-style diner. The prices are not reflective of the fifties, but they are not half bad by today’s standards either. That makes Teddy’s Bigger Burgers a great place to save money while you are dining in Waikiki. Teddy’s Bigger Burgers offers quick and friendly counter service, though you may want to avoid the lunch crowd to avoid the lines. I recommend trying Teddy’s Bigger Burgers before noon or after two. Of course, you will most likely find a wait at just about any restaurant in Waikiki during lunch or dinner, including Cheeseburger in Paradise.